The methanol industry spans the entire globe with production in Asia, North and South America, Europe, Africa, and the Middle East. As of 2015, over 90 methanol plants have a worldwide production capacity of about 100 million metric tons. Methanol is used to produce acetic acid, formaldehyde, olefins, dimethyl ether and a number of other chemical intermediates. In 2011, methanol was one of the top 5 chemical commodities shipped around the world. 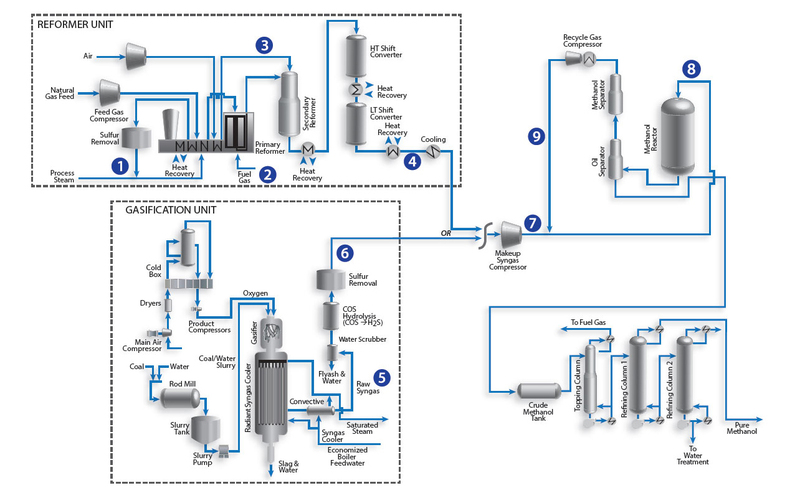 There are several streams analyzed in methanol manufacturing process for controlling and optimizing the main process units. 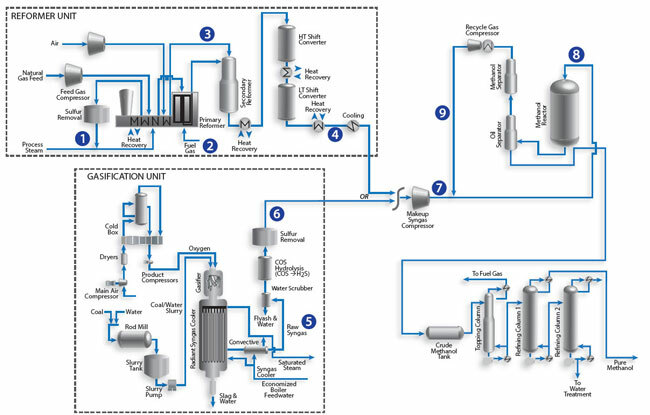 Many of the gas streams in the methanol synthesis process pose significant challenges for traditional analyzers. The Optograf™ Analyzer provides a unique and robust solution for these challenging streams.